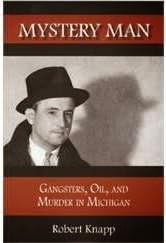 Robert Knapp, author of Mystery Man : Gangsters, Oil, and Murder in Michigan, will discuss his new book as part of the summer Clarke Speaker Series. Mystery Man is the story of Isaiah Leebove, Jack Livingston, and a cast of innocents and not-so-innocents. Oil barons from Okla­homa like Nathan Livingston and Henry Sinclair, New York gangsters like Arnold Rothstein and "Legs" Diamond, Detroit's Purple Gang, even Charles Lindbergh's baby all figure in the unfolding drama that ultimately played out in the days of Michigan's oil boom. A personal grudge led to Leebove's murder – or was it the perfect gangland slaying? Join University of California Professor Emeritus Robert Knapp, a Mt. Pleasant, Michigan native and CMU alum (1968), to learn more about this intriguing story. 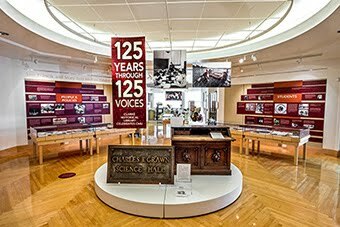 The program begins at 7:00 pm in the Park Library Auditorium with a reception to follow in the Clarke.